Frenzied emotions, expressive costumes, booming musical cues — this is the stuff of cinematic melodrama. I eat it up. Frazzled minds were made for the movies. Melodrama, as a genre, lets filmmakers run wild. It lets gifted stylists visualize repression and festering anger with filmic flourishes. A boring melodrama has its characters mope and talk. An engaging one packs the screen with visual manifestations of those characters’ most primal instincts: jealousy, love, fury. In life, these things tend to simmer. In melodrama, they pop, like the red on James Dean’s jacket. You don’t win points for subtlety here. Darren Aronofsky, the director who flogged us all with the acid-dipped D.A.R.E. shirt he called Requiem for a Dream, is up for this task. This guy only carries blunt instruments. His films hammer; they don’t scalpel. 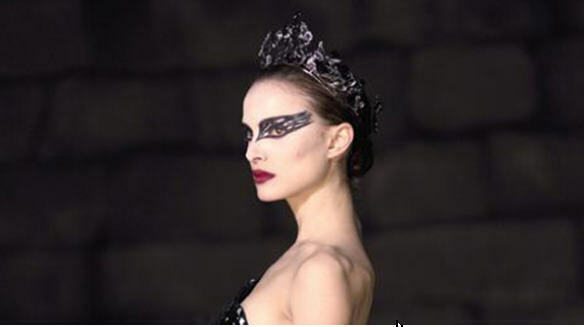 Aronofsky hails from the more-is-more school of filmmaking, which places a premium on viscera over intellect. As such, he tends to live in that ghetto critics call “style over substance.” But now he’s given us Black Swan, his most satisfying movie to date. This is a terrific film about the creative process — its paranoid rivalries and cycles of self-hatred — told with the broad, bold strokes of horror and melodrama.